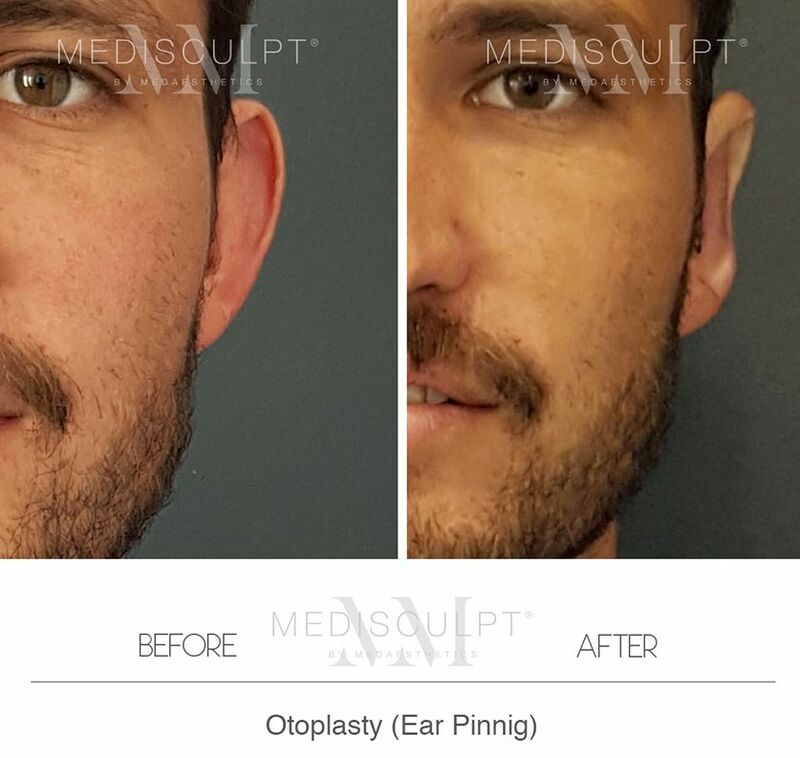 Otoplasty (alternatively referred to as 'ear pinning') is a cosmetic surgical procedure that we routinely perform to improve the shape or position of one’s ears. 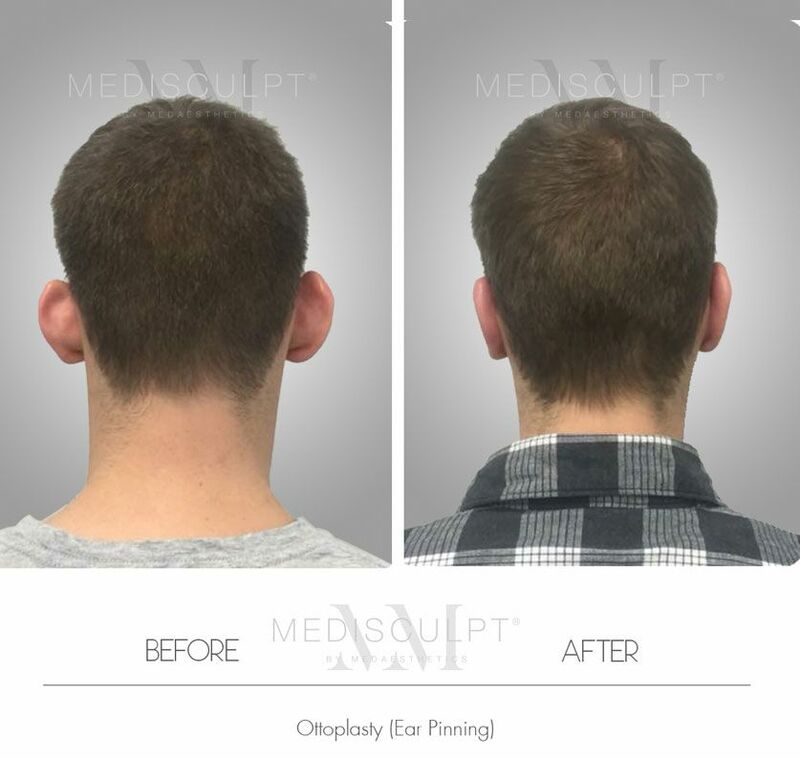 Otoplasty has a profoundly positive effect on the self-esteem of individuals who are unhappy with the appearance of their protruding ears. 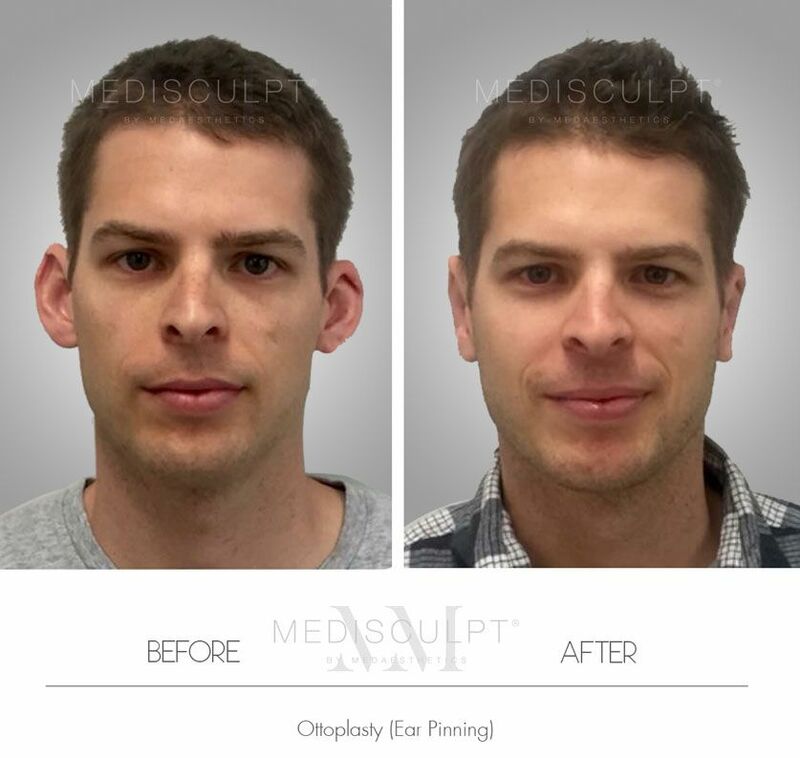 At Medisculpt, we routinely see patients from all age groups and walks of life who have unfortunately experienced years of psychological stress due to the shape of their ears. Thankfully, this corrective option does exist. 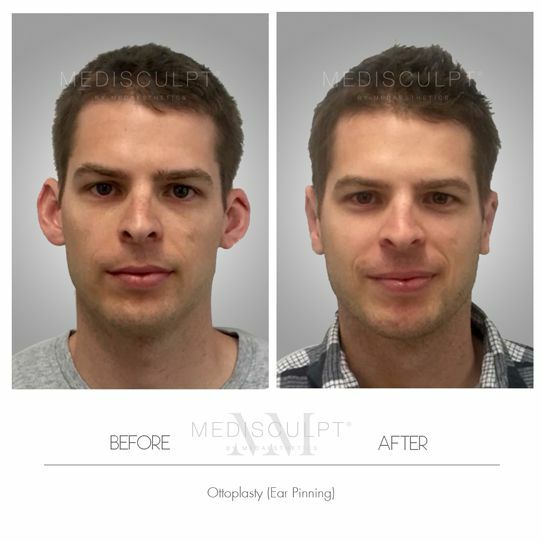 Our doctors have successfully performed countless otoplasty surgeries and are renowned for achieving natural-looking results with high patient satisfaction. 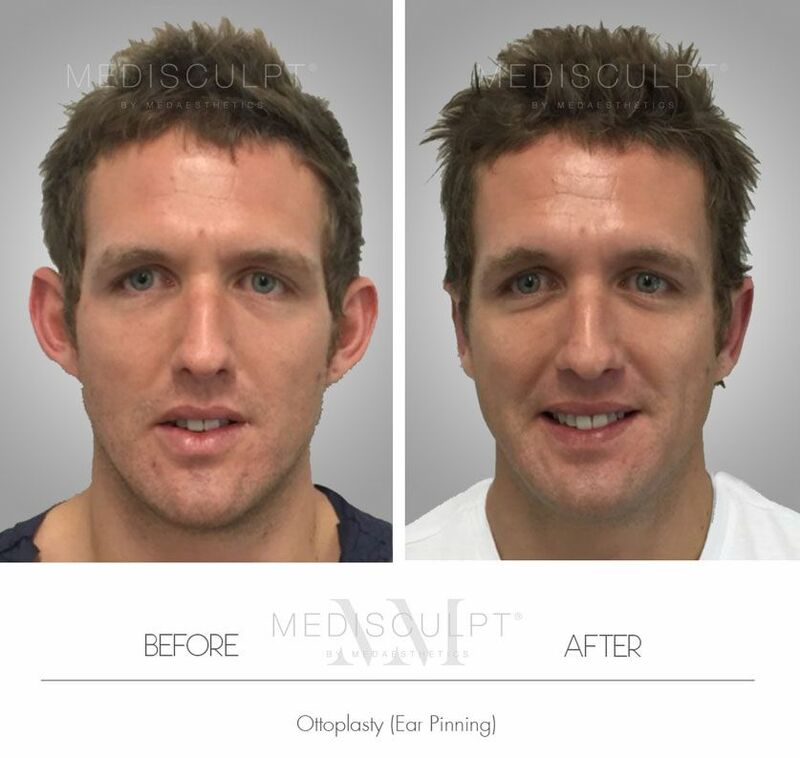 Otoplasty is a relatively common cosmetic surgical procedure. 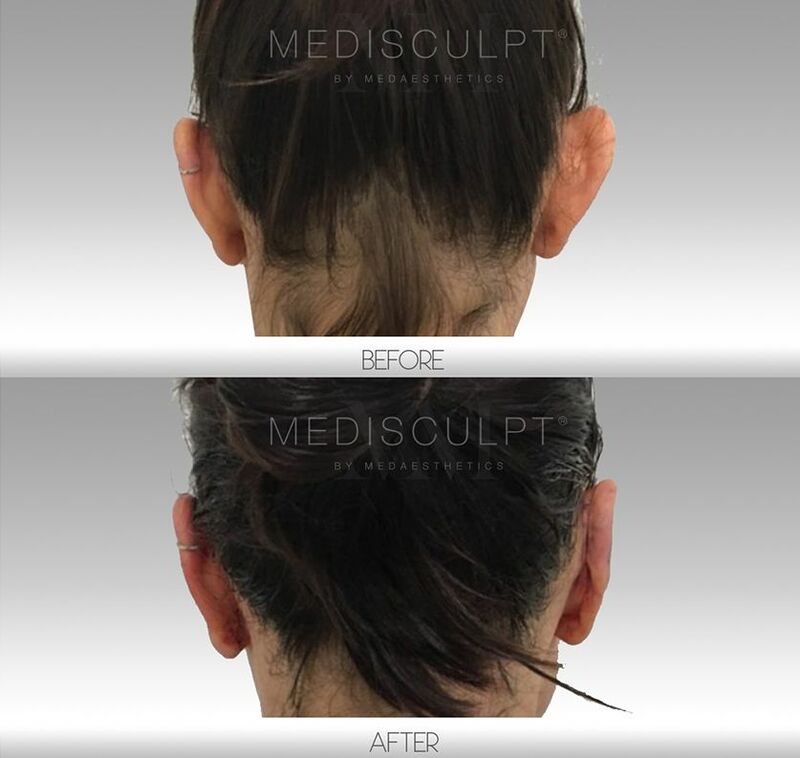 At Medisculpt™, we routinely perform this procedure under local anaesthesia using Radio-Wave or CO2 Laser devices. In most cases, excess ear cartilage is trimmed so that the ears appear closer to the head. In some patients, the ar fold (antihelical fold) is also made more defined to reduce the excess projection of the ears. 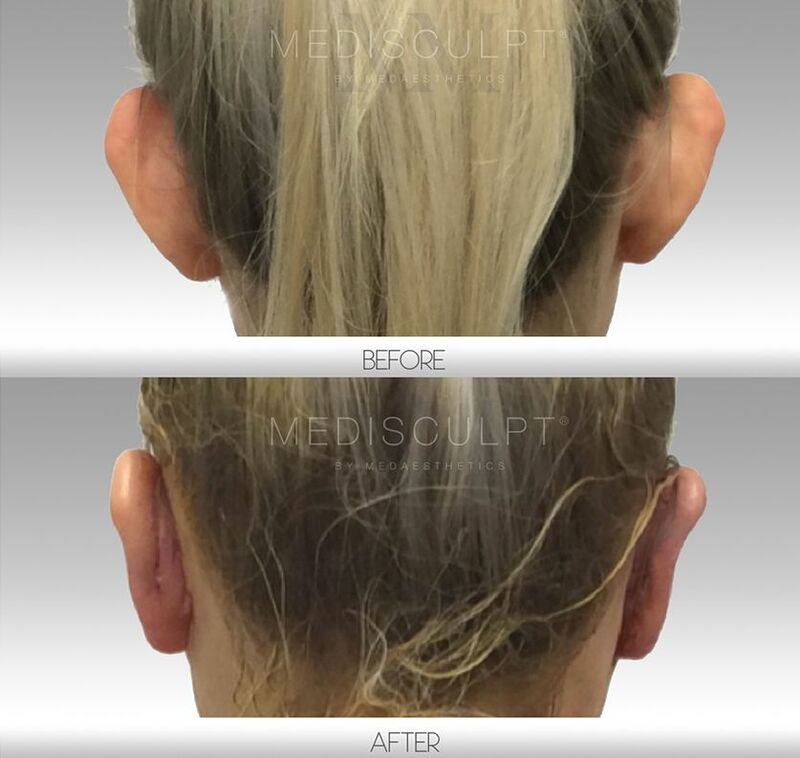 The aim is to create an aesthetically pleasing, natural-looking appearance of the ears. There is minimal bleeding associated with this surgery, with relatively quicker healing in fit and healthy individuals. On average, this procedure can take up to 120 minutes. We routinely perform this procedure under safe doses of local anaesthesia while the patient is conscious. Most people tolerate this procedure exceptionally well. Patients can go home after the surgery and do not require prolonged post-surgical hospital admission and monitoring. At Medisculpt™, we have the most extensive range of Fractional CO2 Lasers to help reduce any scarring, whether related to a surgery or trauma. Patients may have some numbness in the treated area after the surgery. However, this will disappear with time. Most patients can return to office-based work within 5 to 10 days. We recommend at least two weeks off if your work involves heavy physical activity or travelling. A Medical Certificate can be organised, which will not mention the name of your procedure. What are the potential risks and complications of General Anaesthesia (GA) and Conscience Sedation (Twilight Anaesthesia)? What are the risks of using Local Anesthesia? Who would be considered suitable for this procedure? The cost of earlobe surgery depends upon the extent of the damage. Small tear repair costs around $400 per earlobe. Repairing larger tears and stretched earlobes is a more time-consuming surgery and may cost up to $800 to $1,200 per side. 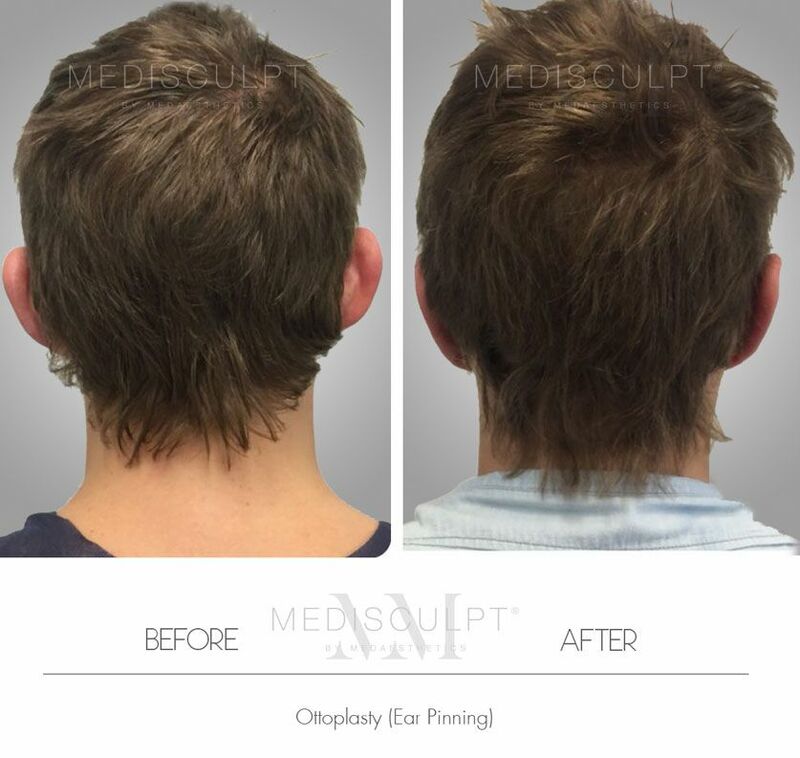 Otherwise, otoplasty surgery costs between $5,500 to $6,500. Many Australians travel overseas for cosmetic surgery and dental work as the cost of having these procedures performed here in Australia are out of their reach. At Medisculpt, we offer minimally invasive surgeries under local anaesthesia in safe doses to carefully selected patients. Resultingly, our patients do not have to pay high hospital and anaesthetist fees often associated with these surgeries. We also offer free follow up appointments after each operation to provide you with peace of mind. Many Australians can now have certain cosmetic surgeries here at home at a competitive price, without having to take the risk of travelling overseas.